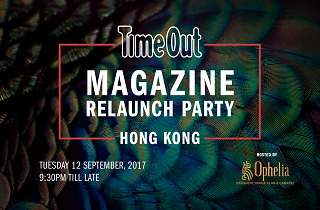 Join us at the Time Out Hong Kong Magazine relaunch party! Worldwide icon-chevron-right Asia icon-chevron-right Hong Kong icon-chevron-right Join us at our Time Out Hong Kong Magazine Relaunch Party! 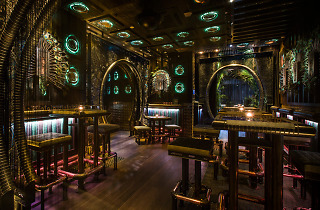 Join us at our Time Out Hong Kong Magazine Relaunch Party! We're back, baby! To celebrate the relaunch of our new-look, free magazine, we're throwing a massive party at Ophelia – and you're invited! 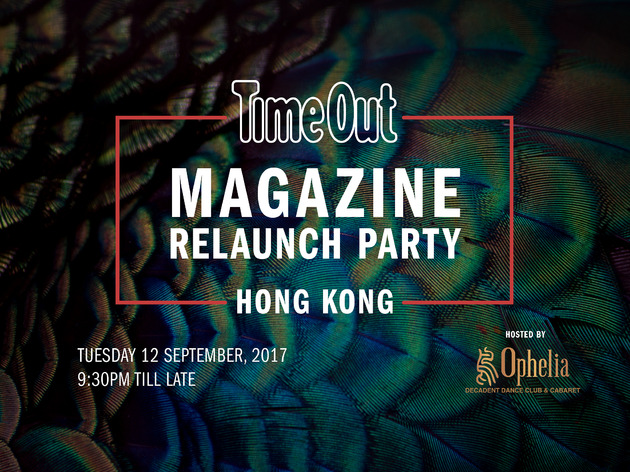 Time Out Hong Kong's magazine is returning to our city – and to celebrate we're inviting all our readers to join us at Ophelia for a massive relaunch party! After a six-month hiatus, your bible for everything events, food, music and culture – Time Out Hong Kong magazine – makes its glorious return in the days following the party, free to pick up at MTR stations around the city, as well as hotels, flight lounges, offices, restaurants and other hotspots, from the New Territories to Stanley! If that's not cause to celebrate, then we don't know what is. 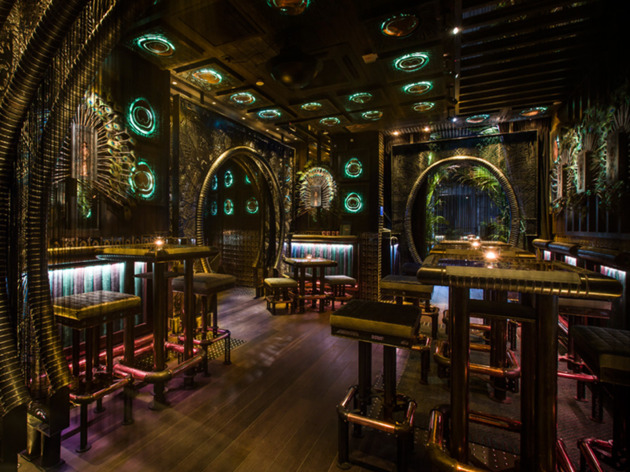 Seeking to redefine the status quo for nightlife, Wan Chai club Ophelia has joined forces with us for this epic night of celebration. They’ve spared no effort in putting together the most ludicrously fun launch party – which we want YOU to be a part of. Miss Mid Levels – The drag queen superstar greets guests in a specially-made Time Out Hong Kong dress, helping them kick off their night with some photos. Contortionism – Ever seen someone bend their body in impressively unnatural ways while sharing a cage with three nuns in latex? Us neither. Matador & Bull – A dance performance involving a girl minotaur who is challenging a guy dressed in a bullfighter outfit. Obviously. Totally normal. Villain Hitting – Guests are encouraged to bring a photo of someone they want to have cursed, ideally a public hate figure. Bringing along photos of your ex is just gonna be awkward for everyone – and, for $10, Ophelia’s contortionist sees to it at her little shrine. Traditionally, you hit the photo with the sole of your shoes but our contortionist/curser/all round nice person Jordan does that while doing flips. Immense. 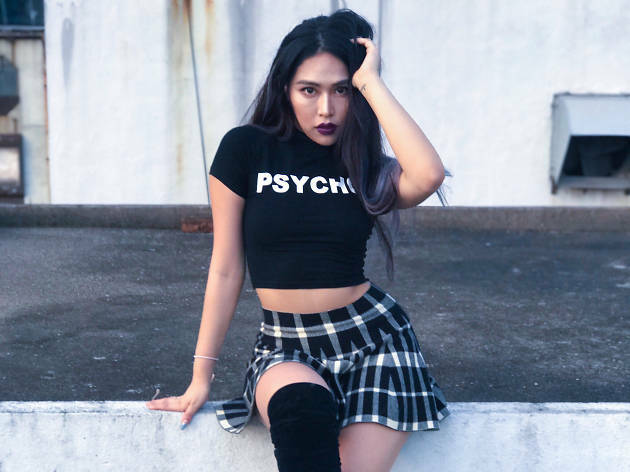 On top of all that, Billboard Asia are bringing along a special guest by way of Shimica Hylee, the talented performer to deliver an incredible live show for our guests. Intrigued? Good. Just wait till the night. You'll be blown away. Best of all, we don’t want a cent of your hard-earned –we just wanna see your lovely faces on the night so make sure you RSVP here so we can get excited about you coming! The first 150 people to RSVP will receive complimentary drinks on arrival thanks to our sponsors 19 Crimes., Absolut., Blossom Hill, Chivas, G.H. Mumm and Grimbergen. So be quick, sign up and we'll see you on 12 September!